Comment: Would like to replace a concrete walkway with pavers. Would also like to replace portion of sidewalk in front of house that is crumbling. Comment: I would like to do stamped concrete to serve as a basketball court/patio with a woodlike grain stamp. A fence needs to be removed and installed again. The area is between 2 garages in a city backyard. The area is about 21 x 23 feet, roughly. I would also like to concrete, with the same color, not stamped underneath our back deck, currently mulch. That area is 16 x 10, guessing. Comment: 24x24 garage pad. Old pad needs to be removed. Comment: i need a cocrete parking spot next to the garage right off the alley. Chicago Concrete Contractors are rated 4.65 out of 5 based on 1,084 reviews of 83 pros. 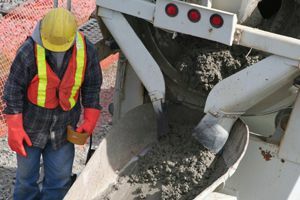 Not Looking for Concrete Contractors in Chicago, IL?